Welcome to the second part of our guide “Automatically download TV show episodes as soon as they are available“. If you only need to know how to install Raspbian on your SD card, your still in the right place. In this post, you’ll learn how to install the popular operating system ‘Raspbian’ on an SD card using a Mac or Windows machine. After doing so, you can continue setting up your Raspberry Pi which I’ll show you in the next part. Before you start, you (obviously) should have a microSD card and a computer with an SD card reader. Besides that, download the Raspbian image file directly from raspberry.com (don’t forget to unzip the image file!). Done? Good, let’s get started. Put your microSD card into your card reader (and connect it to your Mac if your using an external reader). For this to work, your microSD should be empty and formatted in FAT32. Go to your applications and open up Disk Utility (or just use Spotlight). Now we need to find the microSD card’s so called BSD number which looks like “diskn” where “n” is a number. 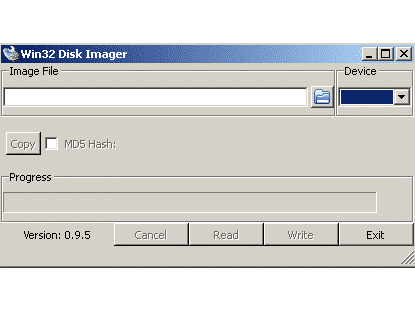 To find it, select it (left side) and click on ‘Verify Disk’. Now, have a closer look at the appearing lines of text. There should be a line very similar to “/dev/rdisk1s1”. In this example, the BSD number would be “disk1”. 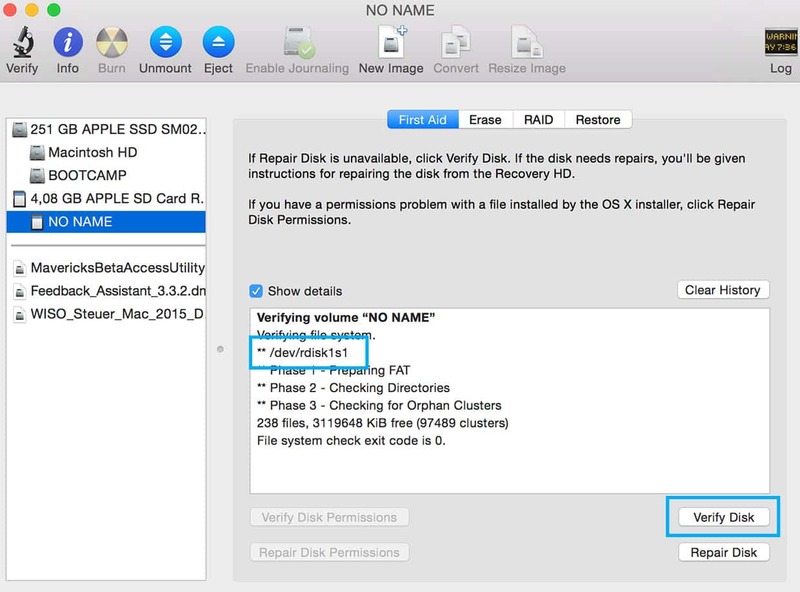 With your microSD card still selected, click on ‘Unmount’ in the top menu bar of Disk Utility. Make sure to replace “n” from diskn with the right BSD number. Also, you need to include the complete path of your Raspbian image file. An easy way to find a file’s exact location is to drag and drop the file into the Terminal window. After hitting Enter, you’ll be prompted to enter your system password (the one you use to log into your computer). Now, the image file is being transfered and installed on your microSD card. This can take a while. During the process you won’t see any feedback in your Terminal window so be patient until you see many new lines confirming a successful image transfer. That’s it! You can now plug your microSD card into your Raspberry Pi. In the next part we’ll show you how to do the initial setup of your Raspberry Pi. Insert your microSD card into your card reader and find out its drive letter in Windows Explorer (for example G:). Download Win32DiskImager, unzip the downloaded file and run the utility file. Select the Raspbian image file you downloaded. Select the drive of your SD card in the ‘Device’ dropdown. Make sure you chose the correct one. Otherwise, you risk damaging the data on your hard drive. Select ‘Write’ and wait for the process to finish. That’s it! The next part of this guide will show you how to setup your Raspberry Pi. It will be released next week, so stay tuned!